When you can Google the word google and find that it’s now a verb meaning “to use the Google search engine to obtain information about someone or something”—you know Google’s become a household name. No doubt Google is the biggest search engine kid on the block. Even in just the last year, they’ve grown their market share a whole 10%—earning them a whopping 77% total market share in the search engine game. Where does Bing/Yahoo fit into this picture? Together they account for roughly 18% of the search engine market, which isn’t a lot, but it’s also not nothing. Let’s talk about why you might be succeeding on Google SERPs but not Bing/Yahoo SERPs and what to do about it. But first, let’s figure out if worrying about Bing/Yahoo SEO is even worth your time. Some people say a huge chunk of the people using Bing are Microsoft employees. Some people say it’s the elderly and less tech-savvy populations, which makes sense. Because most Bing searches are performed on Internet Explorer, the default browser on Windows devices—for which Bing is set as the default search engine—it’s likely that older folks and less technologically inclined folks are just using Bing because it’s there. Surprisingly, some people actually choose Bing as their preferred search engine: coders, students, and people who rely on international maps function all prefer Bing for various reasons. prefer the security implications of using the little guy. While current stats on the “Rise of Bing” and increased Bing market share are contradictory and difficult to confirm, there is a buzz in the air suggesting Bing use is on the rise. There’s similar talk in the rumor mills about Yahoo, too. So even if your target markets don’t line up with the demographics listed in the bullets above, you might not want to write off customizing SEO for Bing and Yahoo completely. And if you do market and sell to any of the demographics above, you’ll definitely want to keep on reading. They’re all very similar. They even look similar. (It seems that Yahoo and Bing have no shame in copying Google’s SERP web design almost exactly). Where they differ is in the algorithms they use to rank search results, obviously—something you probably figured out already if your spot on all the SERPs don’t match up. Google’s algorithms love text (i.e. it even relies on text for crawling visual content via alt descriptions and captions); Bing/Yahoo love visual content. This is especially true for Flash content: while Google and even Adobe are phasing out of their support of Flash, Bing seems to be stuck in the past, preferring (and, it seems like, even rewarding) websites that use Flash. If location, location, location is the marketer’s creed, then backlinks, backlinks, backlinks are the SEOer’s. But turns out Bing prefers less backlinks—but of higher quality. 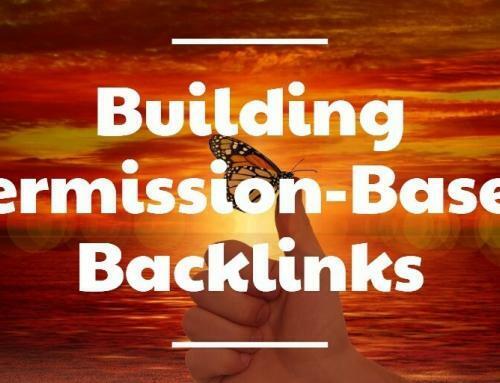 This means that winning an inbound link from another site is only helpful if that website 1) curates and minimizes the amount of backlinks they use (no backlink stuffing!) and 2) is, for its own part, a high-quality website. Another key difference: exact match anchor text from inbound links is a big win for Bing, but not for Google. Google allows for wiggle room and less direct, context-based keywords and is a bit more sensitive to keyword stuffing; Bing/Yahoo needs direct keywords. Bing seems to place more importance on websites mentioned/engaged in social media. One example: when you search a company in Bing, you’re automatically able to see if a Facebook friend or Twitter follower has mentioned/recommended the company or product. Both Google and Bing reward high authority domains like those ending in .edu and .gov with their algorithms, but it’s mostly Bing that cares about domain age. Older domains will rank a bit higher on Bing SERPs. If one search term could mean two things, Google usually places the most popular website associated with the search term first. Bing deals with double meanings by showing local results first. It seems that Bing is the small business champ, as it tends to list more local businesses on their SERPs. Google tends to favor the bigger, more established businesses, probably because their algorithms view them as more “credible” search results. The one thing you can do that’s a surefire way to rank for all 3 search engines is to consistently create genuinely helpful and engaging content for your visitors. That’s the one big thing Google, Bing, and Yahoo agree on: although they have different algorithms for grading websites and ranking them on SERPs, all they really want to do is reward the best sites for being most helpful to visitors. It’s hard to say there’s any one thing you can do that’ll benefit you with all 3 search engines, especially now that we know how much their algorithms differ. There are a few things you can do, though, that should help your SERP ranking all around. Google likes text, Bing likes rich content. Google can work with context keywords, Bing needs direct. What’s a SEOer to do? Incorporate parts of both strategies, of course. The great thing the differences between Google and Bing/Yahoo search algorithms is that most of the criteria aren’t mutually exclusive. You can have both lots of good text-based content and rich multimedia. You can have indirect keywords and direct keywords, as long as you’re not keyword stuffing. So that’s what you should do: make sure you’re incorporating both text content with indirect keywords, and rich content with direct keywords onto your site. Backlinks: Google likes quantity, Bing likes quality. All you can do is make sure you’re earning as many backlinks as you can, all from quality websites. 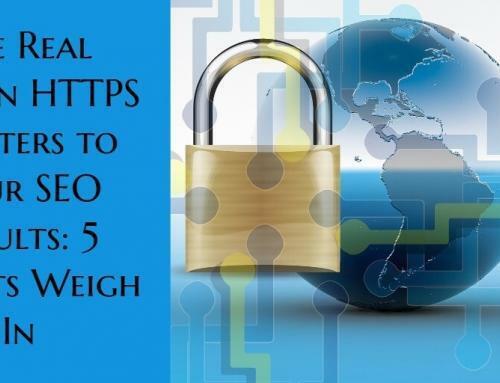 The more you build your portfolio of backlinks from trustworthy and well-ranked websites, the more you’ll climb on Bing and Google SERPs. Same goes for social media: all you can do is just get better at social media all round. Encourage social sharing with social sharing buttons on all your pages and blog posts, and consider running a social media campaign to incentivize social media users to share your stuff and talk about you. The great thing is you can focus on making strides with Bing on this one; it’s not like Google will punish you for having an even better social media presence! Remember how we said Bing loves to champion for the local guy? Well one thing you can do right now is claim your local listing (or create one, if you’re not listed in search results already) for your brick-and-mortar. All you’ve got to do is add some information about your local listing and verify it using a PIN number. No matter what search engine you’re trying to climb the ranks with, you can’t go wrong by keeping your SEO strategy ethical and customer-driven. Your SEO won’t ever suffer by doing the right thing. 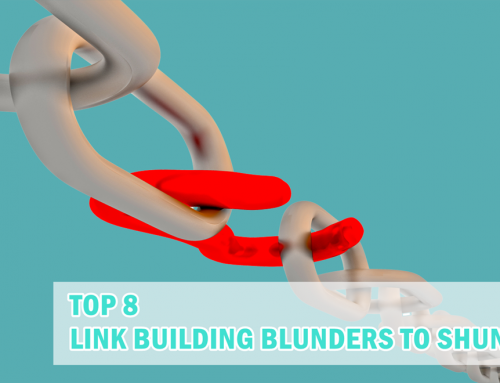 Buying backlinks = not so ethical. Keyword stuffing = not so ethical. Doing anything to try to “trick” search engine algorithms that doesn’t ultimately add to your visitors’ experiences = definitely not ethical. Here’s your reminder to keep it real, no matter what kind of SEO you do. 5. Use Bing Webmaster Tools And Keep Up With The Bing Webmaster Blog. Bing Webmaster Tools likeSEO Reports and theSEO Analyzer tool are an SEOer’s best friend for SEO feedback straight from the search engine itself. With these tools, you’ll be able to perform on-demand scanning of individual pages, track your progress, and keep up to date with changes to Bing algorithms that could affect your site. 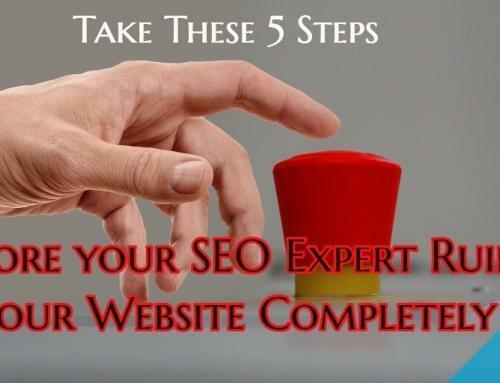 Beyond the 4 tips listed above, here’s how to rectify this kind of unbalanced SEO success. Before making any big decisions, make these small changes first! If these small changes are enough to fix your SEO lopsidedness problem, well then that’s just great. Be sure to have a system for measuring your results so you’ll know exactly what kind of fruits your labor is yielding. Ask Yourself: Is It Good Enough? Have these tips boosted you enough to satisfy your hunger to rank on Bing, even if you’re not at the top? While it’s unlikely any one thing you do to improve Bing rankings will hurt your Google rankings, it is possible that throwing all of your focus into ranking on Bing can hurt your chances for climbing higher on Google, if anything because of the opportunity cost involved. Time spent strategizing for Bing is time not spent building more success with Google. And let’s remember, Bing/Yahoo together make up less 20% of search engine market share, while Google is still the search engine king and probably will remain so for the foreseeable future. Let’s recall the kind of folks who still use Bing/Yahoo: small specialty groups like coders, the elderly/less tech-inclined, and Microsoft employees. So before you move on to the 2 tactics below, I urge you to ask yourself: do you really need to rank high on Bing, too? If your target markets fall into one of these categories, then maybe it is more crucial for you to rank on Bing. But…if not? Is it really worth it? Wouldn’t you rather put all your efforts towards ranking super high on the search engine with 80% of market share? Of course your answer will depend on your own preferences, your target markets, and how many resources are at your disposal. If you’re set on ranking higher on Bing and Yahoo, keep reading. 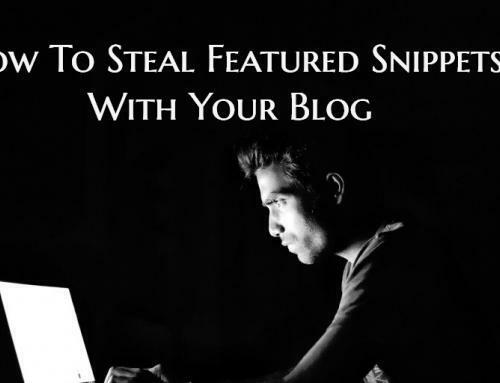 If you have more time than money and want to rank organically, this option’s for you. And since Bing/Yahoo aren’t crowded with SEOers trying to make it to the top, it’s much cheaper to run an ad campaign on Bing! It won’t be organic, but it will get the job done much faster, and most likely cheaper, since you’re not using man hours trying to figure out how to climb on Bing SERPs while maintaining your spot on Google’s. If you think it’s worth it, all you have to do is put in a little extra elbow grease to transform your site into tasty crawler-food for both Google and Bing/Yahoo bots. That’s definitely my first recommendation: get your content, keywords, backlinks and social media strategies polished up. If you’re still not where you’d like to be on the little guy SERPs, I definitely recommend looking into Bing/Yahoo ads—the safest way to rank without sabotaging your spot on Google SERPs. How about you? Where are you most focused on ranking as we near the end of 2017? Are you thinking you might include Bing/Yahoo search in next quarter’s SEO strategy plan, or will you stick to Google? Let us know in the comments below! I have a genuine passion to help business owners succeed in the ever-changing world of SEO through effective, timely, honest SEO strategies. I founded Web Services CT in 2011 which specializes in SEO for small and midsized businesses and am Director of Natural Search at Zero Gravity Marketing in Branford, Connecticut. It has always been difficult to rank on all three search engines and I personally never really worried about my ranking on Bing & Yahoo as I target Google only, although some of my posts has ranked well in Bing automatically, don’t know it is due to content or anything else, but overall I don’t really work on Bing and Yahoo rankings.